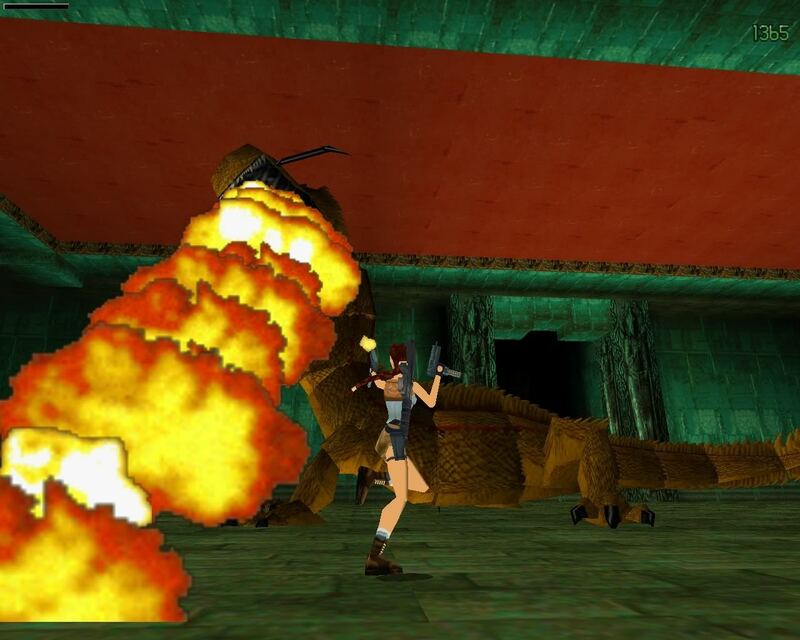 Final Zone: Tomb Raider II. 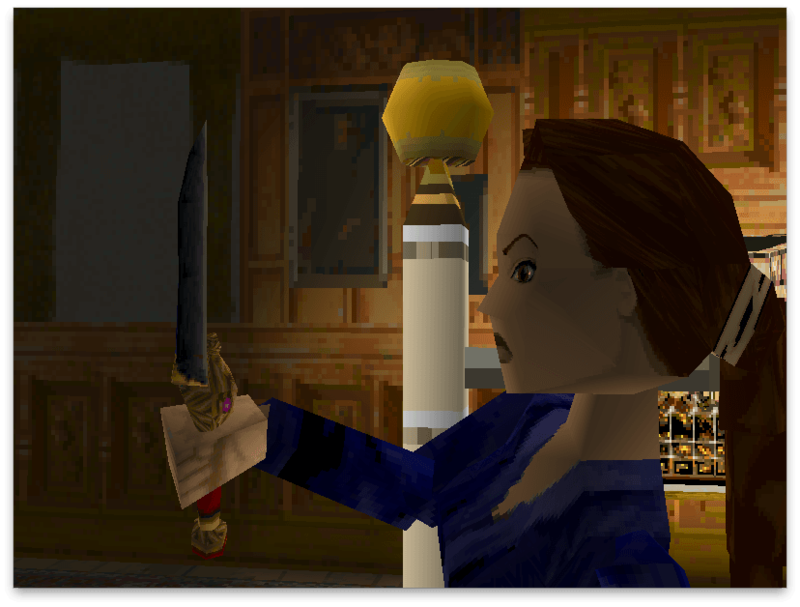 It wouldn’t be a feature from me without one boss from Tomb Raider. The second entry is a favourite of mine, and it includes a great final boss. True, this is one stage before you face many henchmen at her home, but facing against a dragon spitting fire is a final boss, through and through. After travelling to China, Venice, an Oil Rig and beneath to the depths of the ocean, you finally reach the Temple of Xian, but the other one in the race, ‘Bartolli’, has beaten you to the dagger, and has now been impaled with it. After facing against some guards and his henchmen, you run to where his body is, and suddenly, he transforms into a great dragon. Suddenly this is where you will be jumping to the left and right frequently, while diving to one of the pools to grab more Uzi ammo. There wasn’t really any huge bosses to face throughout the game, mainly it was the enemies that had gotten bigger and more dangerous as it went on. You’d have a guy with a crowbar, which would then follow onto a guy with a machine gun, and eventually one with a flamethrower. Soon enough, after many rounds of gunfire, the dragon collapses, and you expect it to be it. But you realise that there’s a reason why it’s still grunting and light is emitting from its stomach. You need to get the dagger. You’ve only got a short amount of time to do this, and if not, it’s the same fight again. Once you finally do, the level is about to crumble,so you need to run, and jump, otherwise the debris will crush you. Finally, you reach the last stage, where his last henchman will try to take the dagger and the game concludes. The first three games were always about wide, open areas, where sometimes you had no idea where to go next, which was the fun of it. Of course, there was the music, but when it came to this stage, it didn’t need it. The atmosphere and the dragon was enough for the player to focus and keep them on edge. Sometimes no music in certain areas is a great choice of the composer, and it shows in this stage. 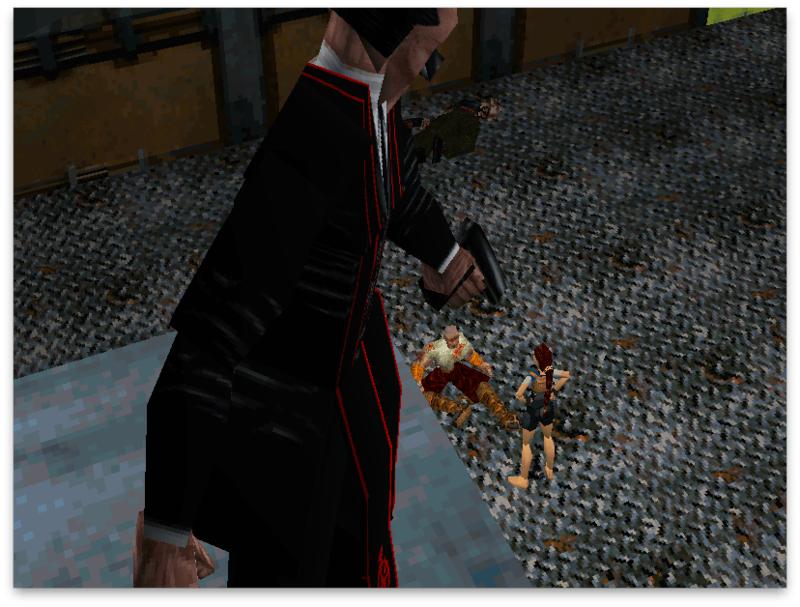 The third game had the giant spider, but it was mainly an expanded version of this fight. Instead of collecting one artefact when it was down, you had to collect several, but also to keep a clear distance, otherwise it was instant death. Not as fun to me, but still kept you on edge. With the sequel to the reboot being released next week, you could easily dedicate the next week to the best version of ‘Tomb Raider II’ and reacquaint yourself.